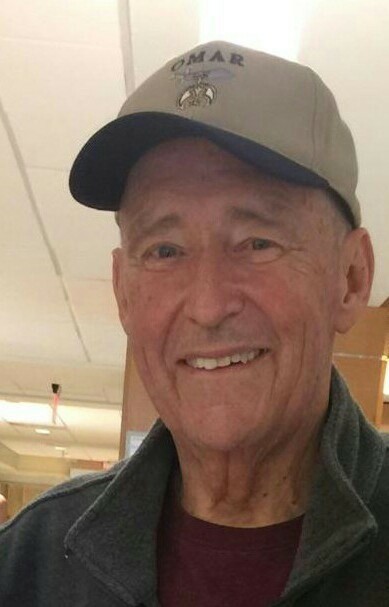 Barry Lee Anderson, 71, passed away peacefully on Sunday February 10, 2019 at his home in Myrtle Beach, SC. He was born on May 18, 1947 in Pittsburgh, Pennsylvania to the late Harry Axel Anderson & Margaret Alma Porter Anderson. Along with his parents, Barry is preceded in passing by his brother, Harry J. Anderson. A hardworking man, Barry was proud to retire from the steel manufacturing industry. He retired from Schaefer Equipment in Warren Ohio, with previous employment at Braeburn Alloy Steel, Edgewater Steel, and Heppenstall Company in Pittsburgh, Pennsylvania. He was a Mason in the Murrells Inlet Lodge 368 and a Shriner in the Omar Temple. Left to cherish Barry’s memory are his beloved wife, with whom they would have celebrated 50 years of marriage in June, Mrs. Darl J. Anderson of Myrtle Beach, SC; their son, Jeffrey Anderson of West Palm Beach, FL; granddaughters, Olivia & Elizabeth Anderson; brother, Garry Anderson and his wife, Kim of Pittsburgh, PA; several nieces and nephews; a large, extended family and many supportive friends and neighbors. A celebration of Barry’s life will be held privately.